CHICAGO – Thank God! 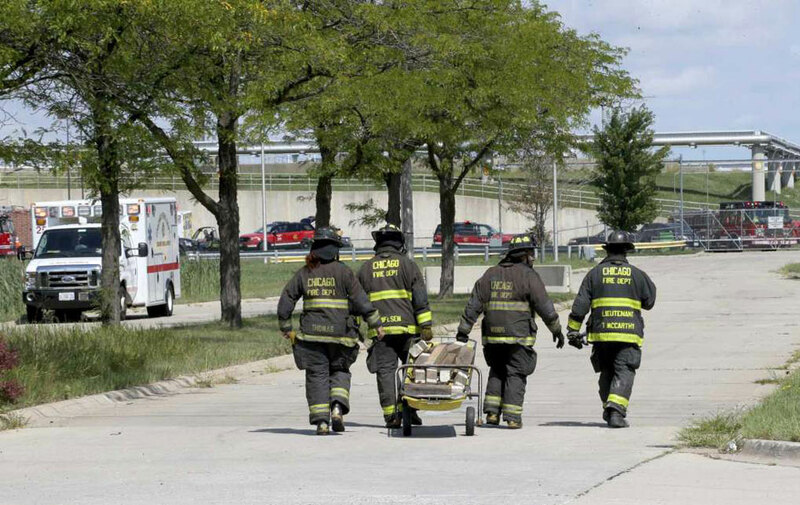 It was a miracle no one died in the explosion of methane gas that blew up a sludge concentration building at the Calumet Water Reclamation District plant yesterday. Ten workers were rushed to area hospitals. It took two hours for rescue teams to tunnel through tons of concrete rubble to rescue a pipefitter trapped there. Heartfelt wishes go out for the full recovery of the injured workers. But workers shouldn’t have to rely on miracles to protect their safety and lives. I’m retired now, but I spent a good part of my work life in the tunnels and underground vaults that crisscross that sewage treatment plant. Treatment plant workers also work on above-ground infrastructure too, of course, as well as in labs, shops, pumping stations and control rooms. Sewage treatment (or “water reclamation” as it is euphemistically called) isn’t prestigious, but it is perhaps the most important guarantor of the health of the people in the Chicago area, protecting millions from the deadly epidemics of typhoid fever and cholera that ravaged earlier populations. People joke good-naturedly about the downsides of working in sewage treatment, mainly the smell, but as we saw yesterday, more lethal, but hidden dangers abound. Safety and health regulations require monitoring of gases in confined workspaces such as the sludge concentration buildings. Poisonous and explosive gases such as methane and hydrogen sulfide are generated in the treatment process and can silently accumulate. It’s too soon to cast blame on why this standard was not met; the District has an enviable safety record in an inherently hazardous industry. I have every confidence that the Metropolitan Water Reclamation District, as a responsible employer and public agency will leave no stone unturned to correct whatever laxness creeped into its overall robust gas detection system. However, this near tragedy should make every American who cares about working families give deep thought to how important work site safety regulations are. Ironically, it’s the effectiveness of those regulations, and their rigorous enforcement, that means we don’t think about them till it’s too late. In the light of this near tragedy so close to home, we need to question whether a creeping disregard for the rights and well-being of working people on and off the job may be infecting our national culture. When we have a governor like Bruce Rauner in Illinois who is openly at war with workers’ rights to organize and have a voice on the job, we have to ask if that promotes a devaluation of workers’ very lives. Meanwhile, on the national level, the Trump administration has withdrawn 469 proposed federal workplace health and safety regulations and delayed 391 more under the guise of “regulatory reform,” according to the National Safety Council. It has halted the hiring of inspectors for the Occupational Safety and Health Administration. Today OSHA only has enough inspectors to visit every workplace once in 159 years. Would an inspection by one of those missing safety experts have prevented the Calumet plant explosion? When we have a president who openly values corporate profits over the health of working-class communities, poisoning their air and water, does that not promote a general laxity in regard to human lives – especially those of the 99 percent? This Labor Day weekend, let’s honor workers and their families by re-asserting the importance of preserving and enforcing health and safety both on the job and in the communities where working-class children live and go to school. 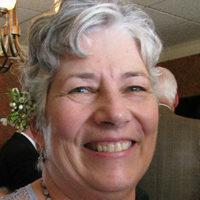 Roberta Wood is a retired journeyman Electrical Instrument and Testing Mechanic who worked on installing, servicing and calibrating gas detection systems at the MWRD Calumet Treatment Plant.